Suggested for weights of up to 120kg p/p. 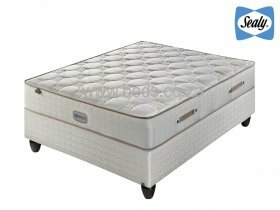 The Sealy Posturepedic Avignon Firm bed delivers good, solid back support with a firm feel. Sealy Posturepedic Double Offset Coil System: works with a hinging action delivering correct back support with no roll-together. Originally designed with orthopaedic surgeons. StayTrue™ Sealy Foam: makes up the foundation of the mattresses comfort fillings, supporting your body with exceptional comfort. Insulator pad: a quality high fibre pad of consistent strength, prevents you from feeling the springs. SitRight™ Edge Support: surrounds and supports the edge of the mattress providing a firm seating edge and increases the sleeping surface. Air vents: let your mattress breath keeping your mattress fresh, dry and healthy. Aloe Vera Fabric: natural, anti-bacterial and anti-dust mite which improves health and well-being. 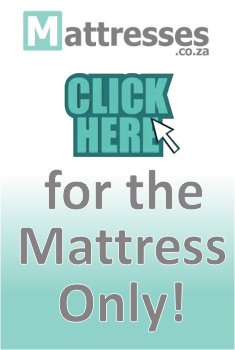 LiftRight® Handles: provide additional gripping points to make moving your mattress easier. Reinforced wood base with 140mm legs: providing steady, durable and long lasting support.